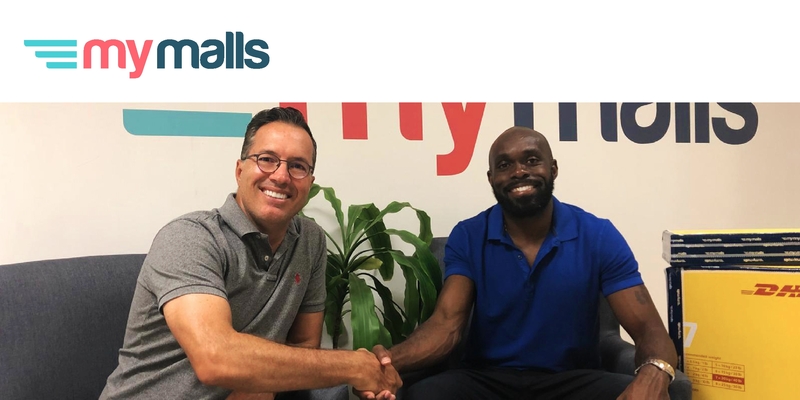 Churandy Martina, the European Champion 100 meters and National Hero in Curaçao, will be representing MyMalls.com as ambassador to support in bringing along positivity while delivering packages from the United States to the rest of the world within 24-48 hours. As Churandy’s goal in his career is to be the fastest man on earth, MyMalls.com has also set their goals to be the fastest delivery service on earth. The collaboration with Churandy Martina is an important milestone for MyMalls.com. Online shopping at American stores has always presented challenges to those of us living outside the U.S. borders. Together with Churandy Martina, MyMalls.com want to highlight the benefits MyMalls.com provide to those who want to shop hassle free and experience the same benefits that U.S. locals do in terms of speed. Churandy Martina is without a doubt the perfect match for MyMalls.com. Therefore, the choice for Churandy was not just a random one. Churandy is well-known for his unsurpassed smile, speed, reliability, integrity and humble attitude. This has also come forward as he had been nominated as the most positive athlete within the Netherlands for the second time*. Churandy’s performance, image and ambitions support the exact core values that MyMalls.com stands for. Putting smiles on people’s faces is a goal that Churandy Martina and MyMalls has set together. Make sure to stay tuned for the exciting happenings during the upcoming weeks.